As the most populous city in the United States, New York City isn’t exactly known for its biodiversity. Yet, planted among an ever present congestion of cars, pedestrians and buildings, lies an integrated systems of zoos, managed by the Wildlife Conservation Society. 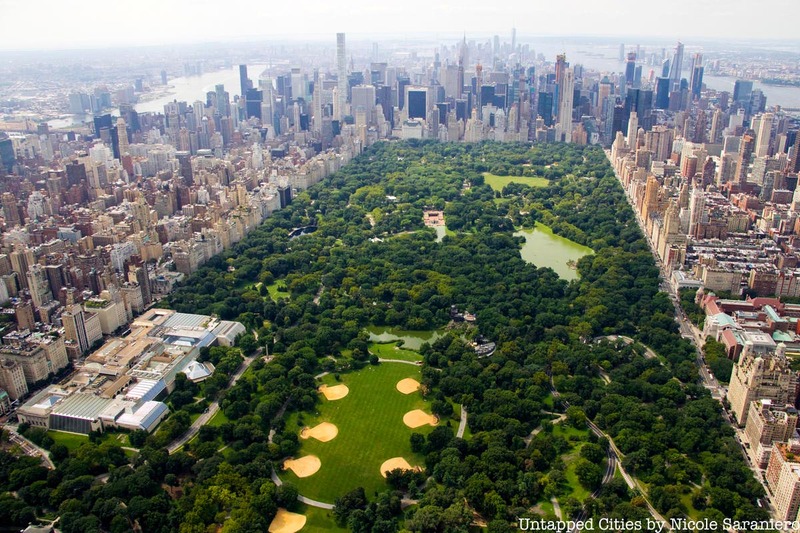 This includes the Bronx Zoo, the largest metropolitan zoo in the United States (and among the largest in the world), in addition to the Prospect Park Zoo, the Queens Zoo and the Central Park Zoo. We’ve previously explored the secrets behind the Bronx Zoo and now, we’re delving into the Central Park Zoo’s storied history, which dates back to the mid-1800s. From its biggest attractions to the story behind its founding, here are 10 of our favorite secrets. The city legislature never commissioned for the city to have a zoo in the mid 1800s, nor was it part of the original plan for Central Park. Instead, the Central Park Zoo formed in the 1860s when New Yorkers began donating their unwanted pets to the city, and circuses needed a place to store their animals. From the donation of one black bear cub in 1859 and 72 white swans, a menagerie opened in the park for the public’s enjoyment. The menagerie’s collection of animals continued to grow to include deer, foxes, parrots, and even cows along with others. The collection became a series of small, outdoor, fenced in spaces. In the center of the menagerie, a sea lion pool was added, which was renovated and still exists in the same place today. The Central Park Zoo is a wonderful and underrated place…it’s a small zoo, but has a lot going for it — a great children’s exhibit, miniature jungles, a Penguin area, the seal island. Oddly enough, it owes all this to Robert Moses, who took the rundown zoo, and made it a modern facility, at the behest of his boss, the animal-loving Gov. Alfred E. Smith. At that time, the zoo was run by aging Tammany loyalties as sinecures, and the cages were disintegrating. The zookeepers were given rifles to shoot animals that got through the fence. At the zoo’s re-opening, Smith delivered the keynote, and cut it short so that the kids in attendance could join him in seeing the animals. Smith was made a “Night Superintendent,” allowing him to get into the zoo at any time, and after he left Albany, he spent a lot of time in the zoo, day and night, often consoling sick and dying animals.